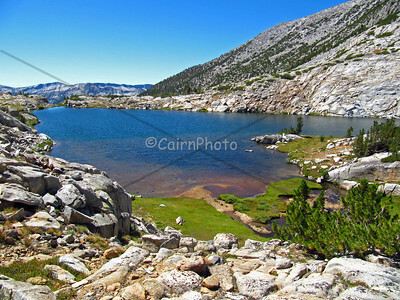 In 2009, my husband and I hiked 230 miles on the John Muir Trail which spans from Yosemite to Mt. Whitney. 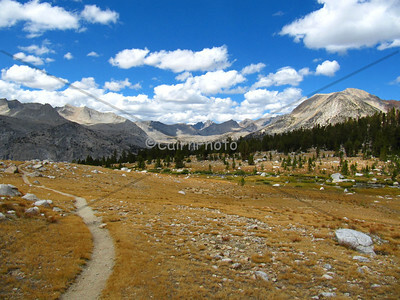 The trail itself is 211 miles so our total mileage includes as trip up Half Dome and other side trips. It was a challenging and fabulously rewarding experience. 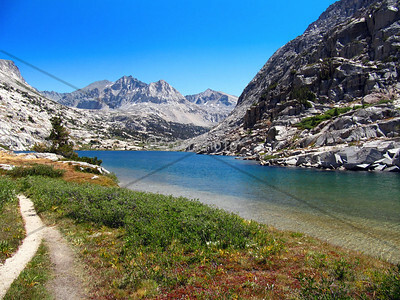 For those not familiar with the trail, it's the longest stretch of Sierra trail which does not cross a single road. That means we had to carry all of our supplies on our backs and then hike off of the trail to get more food and supplies. I used a solar battery charger to ensure I never ran out of a charge and could take as many pictures as I wanted. We hiked anywhere from zero to 14 miles per day; 23 trail days. We are looking forward to doing it again. 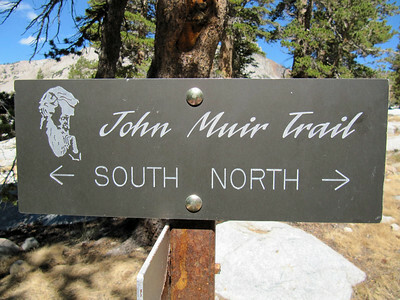 One of the best trail signs I've ever seen. 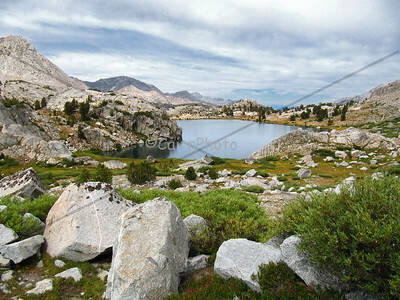 On the way up to Donahue Pass in Yosemite. This is run off from the Lyell glacier. 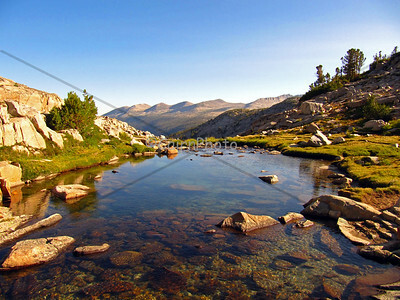 This water feeds Lyell creek in Lyell Canyon. The mountain range in the background is the Kuna Crest. Rush Creek area, just south of Donahue Pass. The mountain range in the distance is Koip Crest. 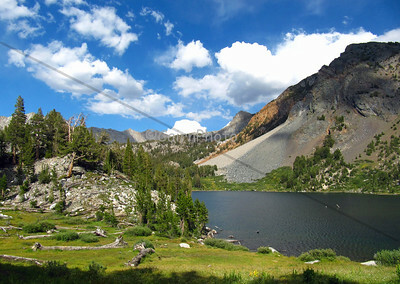 This is beautiful1000 Island lake (near Mammoth Mountain). 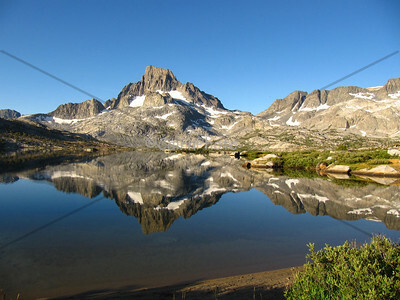 Banner Peak is proudly reflected in the water. 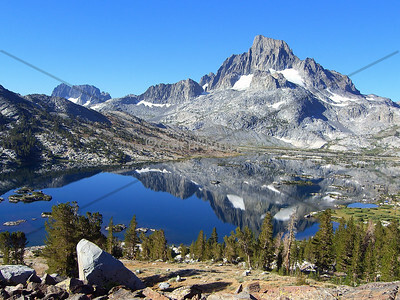 1000 Island Lake with a near perfect reflection of Banner Peak. This is Purple Lake. This was so very scenic, it was hard to leave. Lake Virginia on a semi-grey day. 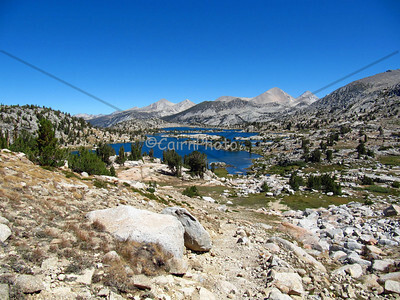 This is Marie Lake, looking north from Seldon Pass. Looking south at Heart Lake from Seldon Pass. 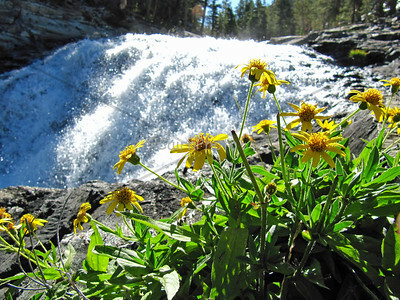 These are what we call "Evolution Falls." 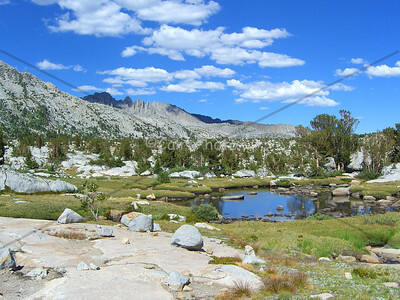 This is Evolution Creek which runs through McClure Meadow. Evolution Lake on a grey day. The Muir Hut. 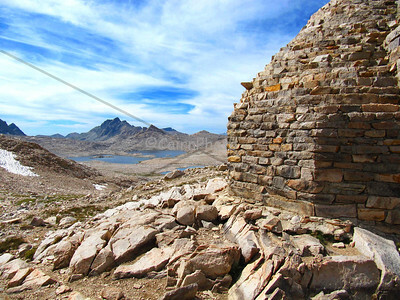 The Sierra Club built this hut on the top of Muir Pass in 1931 as a storm shelter. 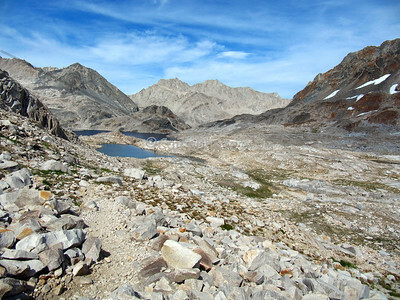 Looking south from Muir Pass towards Helen lake. 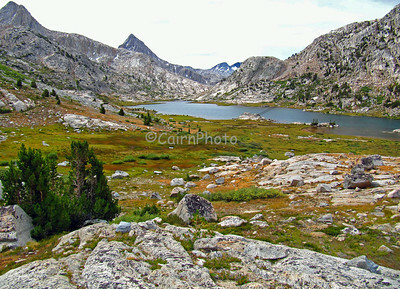 The lovely Upper Basin, just south of Mather pass. The mountain range in the background includes the Vennacher Needle (12,996). 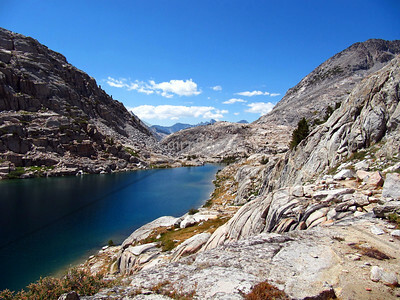 Upper Basin, just south of Mather Pass. 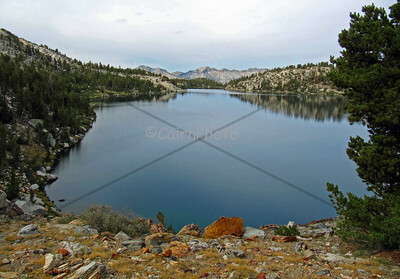 Palisade Lake on the Kings River. 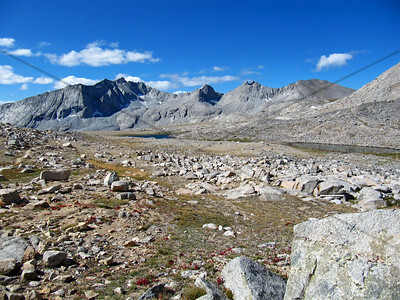 Palisade Lake looking south towards Mather Pass. 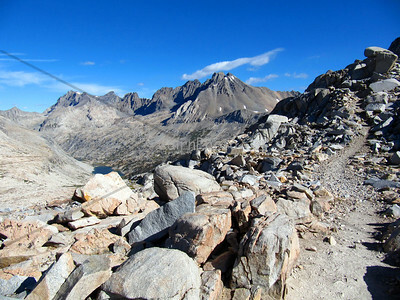 Mather Pass: just south of the Palisades Lakes and north of Upper Basin. 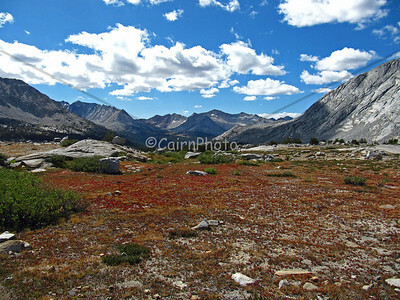 This plateau was just south of the Bench Lake cutoff and north of Pinchot Pass. This is looking north towards Upper Basin.